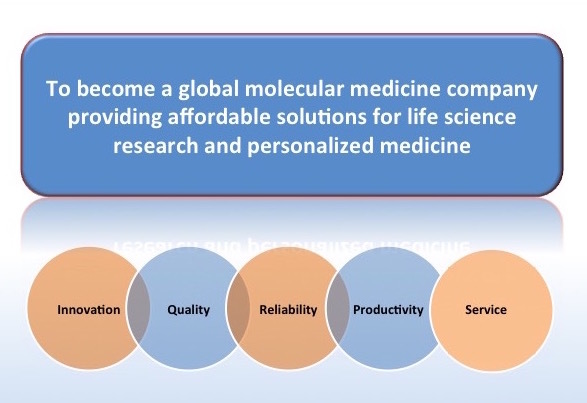 BioGenex designs, develops, and commercializes advanced fully-automated molecular pathology systems for cancer diagnosis, prognosis, personalized medicine, and life science research. The recent introduction of our eFISHency integrated workflow solution for FISH laboratories and miRNA system for characterization of CUP and for undifferentiated tumors is a game changer that has no rival in the industry. Our fully-automated molecular pathology workstations are the most advanced system globally. Our customer focused approach, with premier after sales support and excellent technical service, provides the best in class customer care. Our spirit of innovation drives us to deliver cutting edge technology, years ahead of our competition, and the finest systems for life Science research and diagnostics.